How to Choose a Contractor? (888)-ELEVATE | Call us today for your FREE estimate! Orleans Shoring ensures your home never faces the risk of flooding again by providing house raising, house lifting, and house leveling services using state of the art processes in order to raise your home. 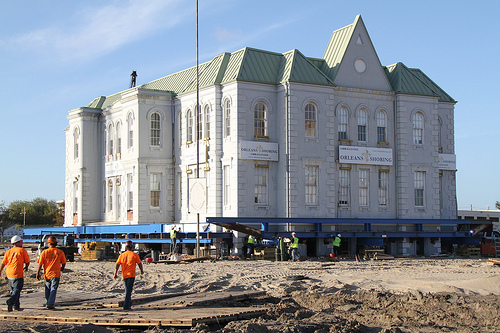 Orleans Shoring provides the highest quality services for all Shoring & Leveling needs in the Greater New Orleans area, using concrete blocks placed on top of existing wood piles or if needed, new pilings will be installed. 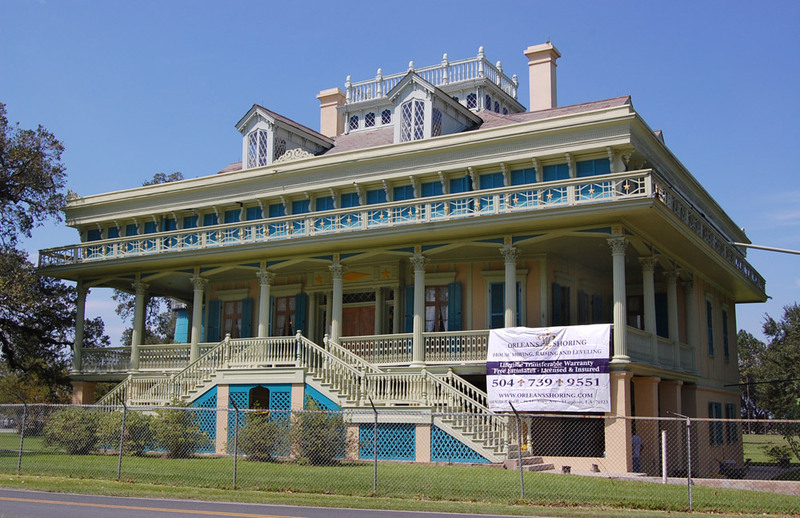 Orleans Shoring provides complete house moving services in New Orleans, Louisiana. By hiring us, you get a company committed to moving your house safely, skillfully, and carefully. Fully synchronized jacking system to elevate both slab and pier houses, smoothly like an elevator. 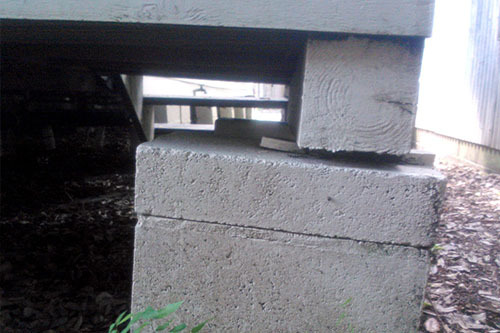 Replace old, rotten or termite damaged sills and joists, level your house, and replace old wooden pilings with concrete. Streamlined process of house moving causing minimal damage to your home; your house is in safe hands. Orleans Shoring has the expertise to ensure that you receive the maximum funding for your elevation project. By assisting hundreds of grant-funded clients, Orleans Shoring has perfected methods to ease you through the grant process. Orleans Shoring will help to fully explain the overall Elevation Process from start to finish, as we have for decades. It’s not just a motto, it’s a commitment. The need for a company as qualified and dedicated as Orleans Shoring has never higher than after the recent hurricanes and flooding that have ravaged the Gulf South. When you hire Orleans Shoring, you get a company committed to raising your home safely, skillfully, and carefully above flood waters. You will also receive an impressive attention to detail through every step. Orleans shoring will continue to be a valued company with dedicated service to this community for years to come. Orleans Shoring just finished elevating my home. The workmanship top notch and the crew was professional & courteous. My house is so much more attractive now that it is raised. I believe it is because of the care and experience of Orleans Shoring. They were an excellent company, the workmanship was good, the timetable was good and everything was excellent. We are very satisfied with Orleans Shoring and would highly recommend you to others seeking to elevate. Do you need help with home raising or foundation repair?